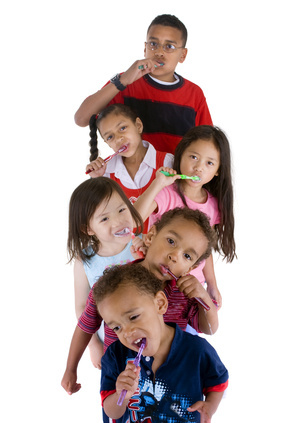 In our dental office we love to treat children and have a very 'child' friendly environment. We make sure that children have fun when they come to visit the dentist and that they participate in caring for their teeth. Dr. Gelberg encourages parents to bring their 1-3 year old children in for a quick look, a ride in the chair, a tooth counting and of course a new toothbrush and some cool gifts. This kind of visit is a good way to enjoy the dental office and enable Dr. Gelberg to diagnose any early problems. Follow up appointments that include an examination, teeth cleaning, fluoride and sealants if needed, should be made every six months. Prevention and early treatment are essential for long term dental health and the development of good oral hygiene habits. Brush your teeth twice a day. An adult should help you at least one of those times. Never put a baby to bed with a bottle of any liquid other than water. Milk and juices in the bed time bottle can cause severe dental decay. 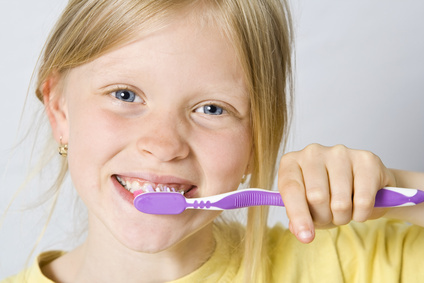 Fluoride makes teeth harder and less likely to decay. Fluoride supplements may be necessary for children in areas where the tap water is not fluoridated or the children don't drink enough water. 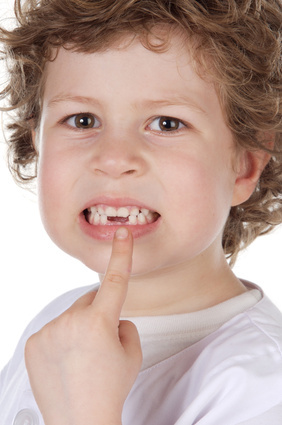 Sealants prevent decay and permanent teeth should be sealed as soon as possible after they erupt. Sealants are simply bonded into the deep grooves of the molars. An orthodontic consultation will be advised at the appropriate time. Teeth need to be protected....they are not meant for opening packages, cracking nuts or stripping wires. When playing certain sports, a protective mouth guard must be worn. This custom guard can be ordered from our dental office. Professional hygiene appointments are necessary at least every 6 months and more frequently during orthodontic treatment.